Young hero Bellamkonda Sreenivas’ forthcoming film ‘Kavacham,’ the first look poster is revealed by the makers. 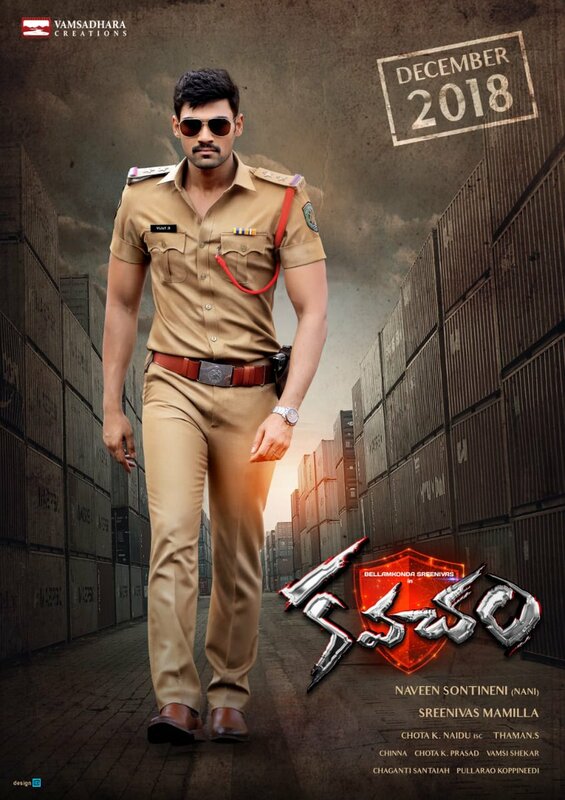 Essaying the role of a police officer for the first time, hero Sreenivas is seen in khakee outfit in the first look. Kajal Agarwal and Mehreen Playing female leads and Thaman Composing tunes for this film. Chota K Naidu is handling the cinematography. Directed by debutant Sreenivas Mamilla and produced by Naveen Sontineni under Vamsadhara Creations banner and planning for December release.